Whenever there is opportunity to bond with Zara one-to-one, I would try my best to treasure it and enjoy as much as I can. 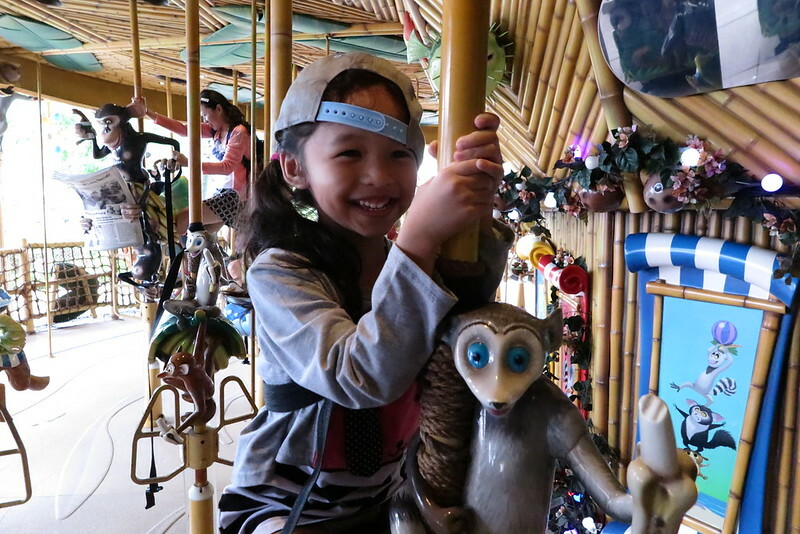 That’s what we did couple weekends ago at SAFRA Punggol – experiencing how a “Little Punggol SAFRA Explorer” was like. It was time for Zara’s nap but I thought the activities and my companionship would keep her awake and excited. It was so at first, but it didn’t last. 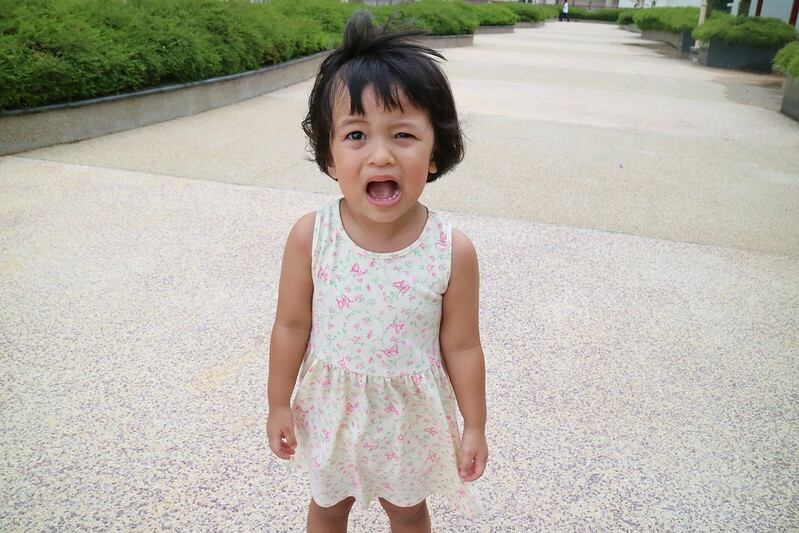 We arrived way too early at SAFRA Punggol, me alone with Zara. The place was packed on a Saturday afternoon – with families and lots of kids! We waited around the lobby area and I could sense the sleepiness kicking in for Zara as the clock ticks by. 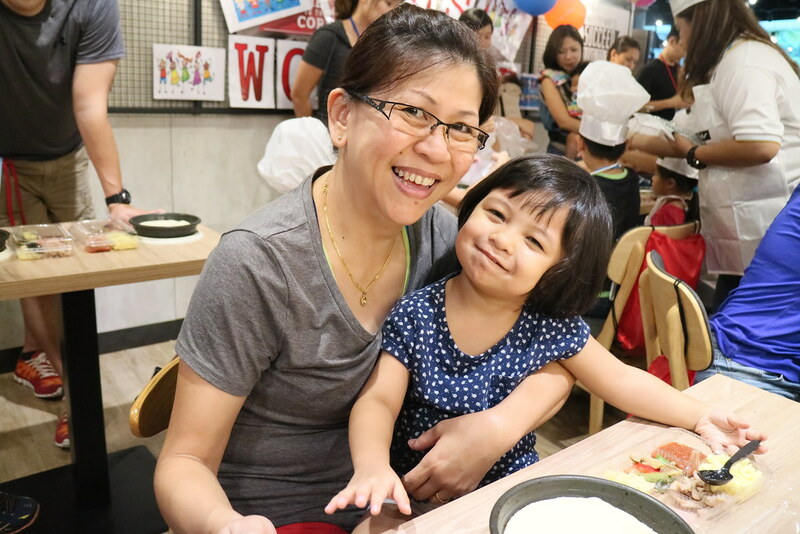 We were both relieved when we finally got the activities going together with other family bloggers. First stop for us was at ARTARY at Level 4 of SAFRA Punggol. 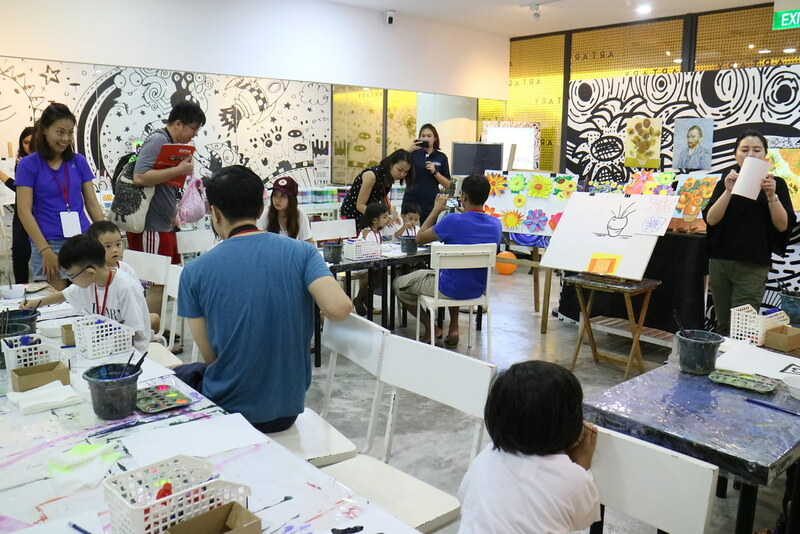 ARTARY provides art classes for kids and their space is very nicely done up! Love the interior and how the wall murals make the whole place very whimsical and fun. 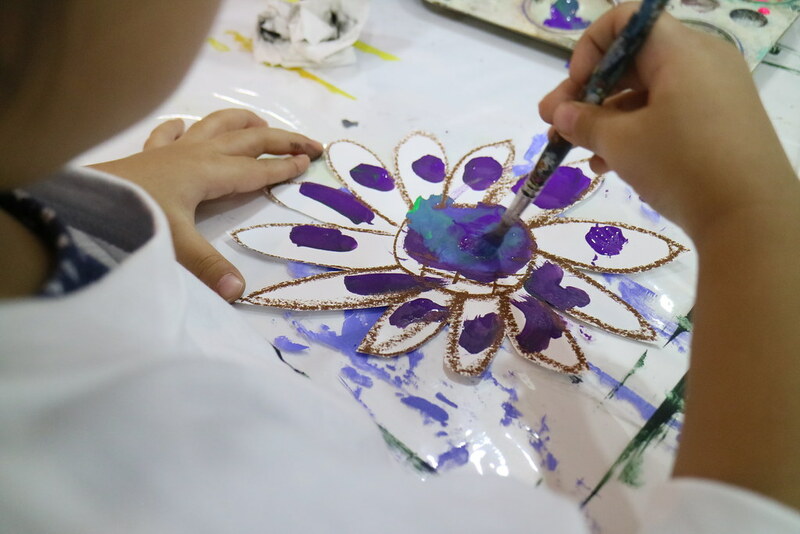 With just less than an hour for this activity, we did our best to create our version of Sunflowers (or “whatever flowers” in our case) by Van Gogh. This was the first time Zara got to do painting work in a classroom setting. I must say her attention and focus was much better than I’d expected. Well I was admiring her concentration with the task on hand until she got bored and tired. Once we’re done painting and got ourselves washed up from all the paints, we headed down to Pizza Hut for a special pizza making session. By this time (around 4pm), Zara’s level of tolerance is almost zero. 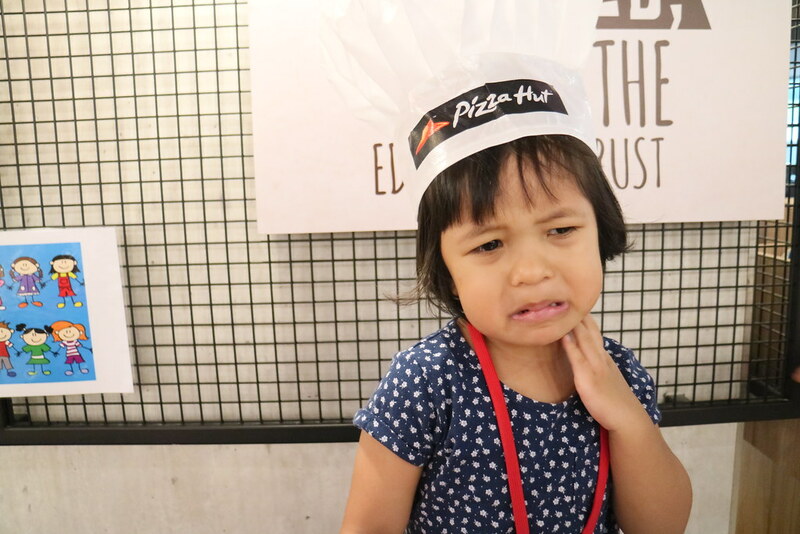 She refused to walk, refused to wear the Pizza Hut chef hat, refused to take photo… she was just not ready to cooperate at all. Until Ah Ma (grandma) came along. This girl of mine is also Ah Ma ???. She adores her grandma and would do anything and everything as long Ah Ma is with her. Just look at that smile on her face! It was a relieved for me really, because I was super famished and tired by that time. I was happy to just hang around while Zara enjoys the rest of the day with her grandma at SAFRA Punggol. I took a back row seat being the photographer and videographer for the day. 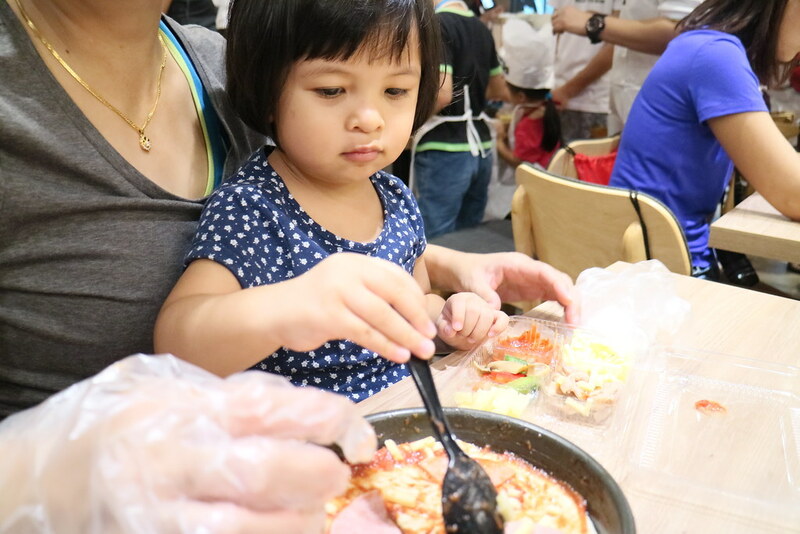 Note: Pizza making session is still not available at Pizza Hut SAFRA Punggol at time of this post. You can contact them to enquire about events should you be keen to find out more. While our pizzas were being baked in the oven, we headed to the highlight of the day. SPLASH! 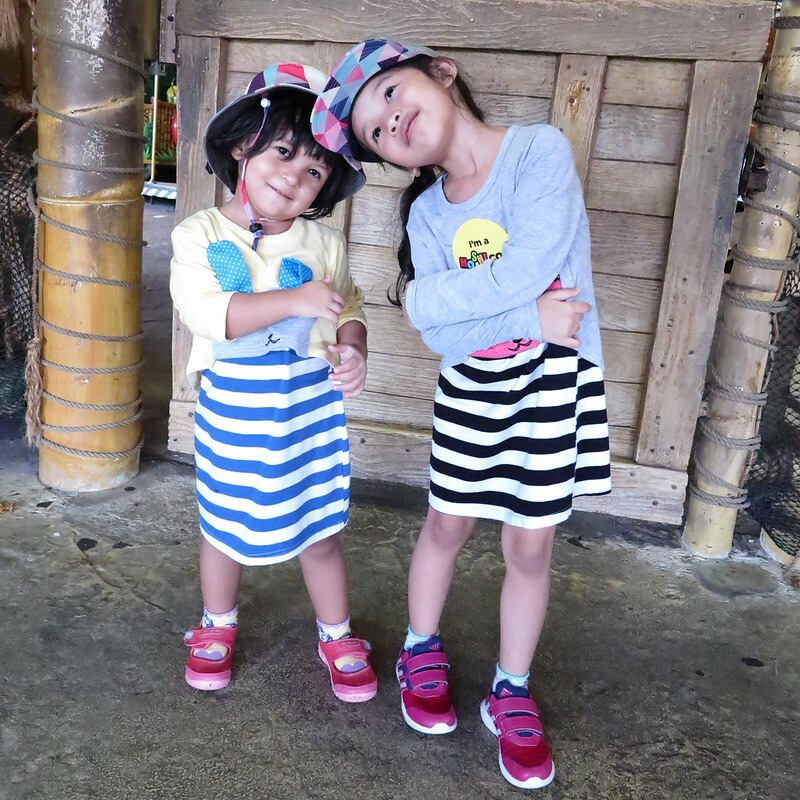 When we shared about Splash@Kidz Amaze a year back, that post brought our entire site down because everyone was excited about the first and only indoor water playground in Singapore! We were looking forward to checking the place out since then, and finally we got to step into the real thing! But guess what? Zara fell asleep!! 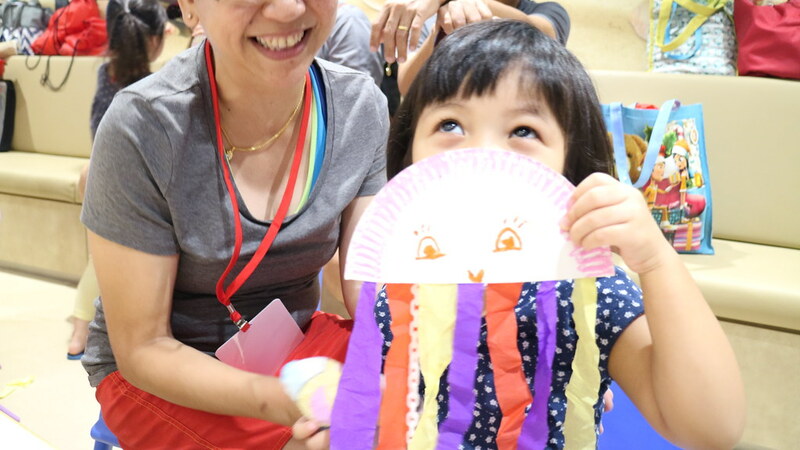 This poor girl was totally exhausted after all the fun and lack of nap that afternoon, she knocked out after making her jellyfish art and craft. By the time she woke up, it was almost 8pm and the cranky just-woke-up-girl spent less than 10 minutes in the water. I was very upset for her, she had been looking forward to splashing at the playground for a very long time. If you’ve not been to Splash@Kidz Amaze yet, this video you got to check out. We will be back soon on a weekend evening, because that’s when the magic and music kicks in. Can’t wait to get splashed and have a hell lot of fun and wet time with my girls. Pricing and party packages at Splash@Kidz Amaze available on their website. SAFRA Punggol is located at 9 Sentul Crescent, Punggol, Singapore 828654 next to Punggol West Loop – PW1 Sam Kee LRT station. You can also take a stroll from Punggol MRT station, which will take approximately 6 to 10-minute.